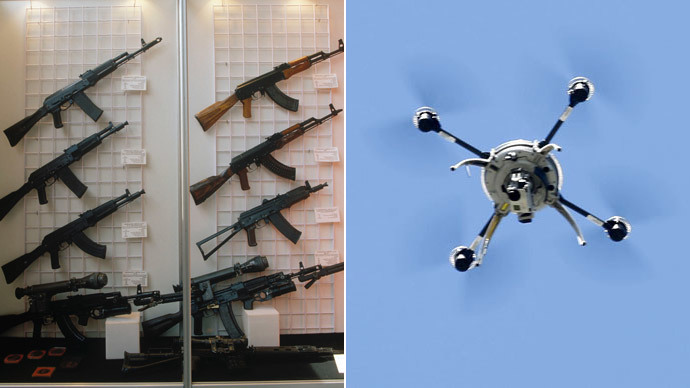 The company renowned for making the legendry AK-47 assault rifle is branching out to make drones. In a diversification effort, the group is even looking into rockets… and pleasure boats. "Our main product here will be intelligence-gathering unmanned planes, helicopters and aerostats,” Aleksey Krivoruchko, the CEO of Kalashnikov Concern, said at the International Defense Exhibition in Abu Dhabi. The drones would be used to help with border control, reconnaissance and rescue missions. With the UAV market one of the biggest expanding markets in the defense industry, the company believes it is time for them to enter production. The acquisition of the Russian ZALA Aero Company, which specializes in making unmanned aircraft, will help provide the Kalashnikov group with expertise. “The decision to purchase a controlling stake in ZALA Aero was made to widen our product line. This is part of the strategy of the Kalashnikov Concern’s development through to the year 2020 and also part of the process of developing new sectors of our market,” Krivoruchko said. Krivoruchko also announced that Kalashnikov Concern had bought a controlling share of the Euroyachting Rybinskaya Shipyard Group. They will look to produce landing crafts, as well as search and rescue vessels. Perhaps unusually for one of the biggest weapons manufactures in the world, they are also thinking about expanding into producing pleasure boats. Due to US sanctions imposed in July, the Kalashnikov group is now unable to export to America, which used to be its forth biggest market. Therefore it has looked to concentrate its efforts to other areas. Krivoruchko said that sales of the assault rifle, which is its best known product, have doubled over the last year to 120,000, with demand particularly high in the Middle East, Africa and Asia, while the company also turned in a profit of $1.4 million, according to Reuters. In December, the Siberian weapons maker paid more than $380,000 to undergo a rebranding campaign. 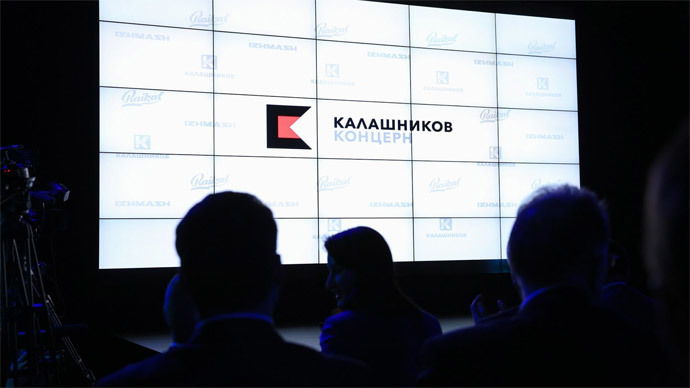 It saw the Kalashnikov group get a new logo, “CK”, which is written in black and red and melded into a single block. The abbreviation stands for Kalashnikov Concern. The colors were borrowed from the flag of Udmurtia in western Siberia, the region hosting Kalashnikov’s main facilities, the company said in a statement. The logo is accompanied by the company’s name written in Russian. Kalashnikov Concern is Russia’s largest producer of military automatic and sniper weapons and guided artillery shells, as well as a wide range of civil products, including hunting and sporting rifles, machinery and tools. The group currently sells its products to nearly 30 countries around the globe.